This adventure is open to everyone of any nationality who has reached the age of 18 at the time of registration, who has an aptitudinal medical certificate for cycling and who has a minimum of experience riding an MTB. 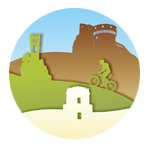 Every participant in the Romagna Bike Trail must be registered with the Association “Guarda dove ti ho portato”. The club is based in via Del Paradello, 148 Casalborsetti (RA) email info@romagnabiketrail.it. Whoever is not a member of the above association will become so at the time of registration. Registration takes place on emission of the membership card, following payment of the fee of €40.00 and is valid until 31/12/2019. The route will start from Darsena in Ravenna and it will end in Porto Corsini. In the 2019 edition, Romagna Bike Trail will have two routes to allow people to plan at best their trail accordingly their time and physical conditon. The first route will be about 480 km. long with a difference in altitude of about 10.000 D+. The second route will be about 350 km. long with a difference in altitude of about 6.500 D+. Both routes will unfolds over mountain paths, dirt roads, cycle lanes, forest paths and tarmac. About a month before the starting date, a gpx route which could be subject to variations, will be sent out by email. The participant will have to upload the supplied route onto a GPS device and follow it from the start to the finish line. The Romagna Bike Trail is an ADVENTURE on tarmacked roads, cycle lanes, forest paths, dirt roads and paths; the entire route will always be open to traffic and it is therefore OBLIGATORY for all participants to respect the Highway Code. It is also obligatory to carry a repair kit for repairing breaks and punctures . There is no maximum time limit. Any type of external support (except in an emergency) is forbidden, as is the use of motorized vehicles and modification of the route. Participants should have a good knowledge of the use of GPS and of orientation skills. Any person who does not adhere to the rules will be disqualified! The route must be followed in its entirety and without short cuts, a lack of respect for the route results in automatic exclusion from the insurance cover. If it is necessary to leave the route, the participant must return to the place where they left the route in order to take up the route again. The participants acknowledge that the route is not signposted, that they travel at their own risk and danger and that they are considered to be on a personal trip without any further rights than the other users of the paths and roads. The participants are aware that there is no medical or mechanical assistance and no refreshments supplied by the organizers; there is no recovery service for participants who withdraw from the event and there is no obligation on the part of the organizers to search for participants along the route. Participants undertake to communicate their own withdrawal from the event to the organizer, by calling the telephone number provided. Participants are aware that the Association “Guarda dove ti ho portato” is not a professional organizing body, instead it acts only for recreational and not patrimonial purposes ( 1174 Cod. civ. ); and, therefore, participation in the cycling trip Romagna Bike Trail is always entered into by free choice and for recreational and not patrimonial purposes. For the same reasons, participants renounce undertaking any legal action for any reason against the above-mentioned association. It follows, therefore, that the above-mentioned organizing association is devoid of, and in any case relieved of any responsibility connected with the Romagna Bike Trail cycling trip. It is also relieved of any responsibility concerning any eventualities that might happen to the cyclists, for example: accidents, getting lost along the route, physical problems, thefts etc. It follows, therefore, that the Romagna Bike Trail cycling trip is to be considered a mere meeting with spontaneous and independent participation of cycling tourists and cycling enthusiasts on a personal and free trip. Participants undertake to respect and maintain cleanliness of the places they pass through: fields, woods, paths and agricultural properties, they undertake not to discard their rubbish along the route, but to throw it away in specific rubbish collecting containers. The organizers would advise participants to use a fully functioning Mountain Bike. Participants are also advised to take with them all the material necessary for routine maintenance and eventual emergency repairs. • This authorization of the particpants’ image must be intended as given for an undetermined time period and without territorial limits anywhere in the world, for use in various publications and films, including, as mere examples but not limited to, promotional and/or publicity material realized on all devices. • The organization can, furthermore, give to third parties and to its own institutional and commercial partners, the rights of use set out in this agreement. The organization declines any responsibility for itself and its collaborators, for accidents or damage to people or things, that might happen before, during and after the event or as a result of the same. The organization also reserves the right to exclude from the event any cyclists who exhibit improper behaviour before, during and after the event.